A new year is coming, along with lots of new technology, tools and plans for the future. The use of bots, voice search and account-based marketing has changed the traditional approach to content marketing. However, one thing remains the same: the need for content creation. Revising your strategy may sound intimidating, but we’ve got just the solution—HubSpot's Content Strategy Tool. Let’s explore this nifty new tool and why it’s changing the way we communicate with our audience. With the introduction of artificial intelligence (AI) into more everyday use, the marketing industry’s approach to content has shifted. The use of keyword targeting has changed to focus more on phrases and search queries that use natural language. Now more than ever, people are not just using technology as a resource, but interacting with it. Search engines, websites and different types of content are beginning to utilize AI to create more of a conversation with users. With all the hustle and bustle going on, how do you make sure your content stays relevant and customer-focused? 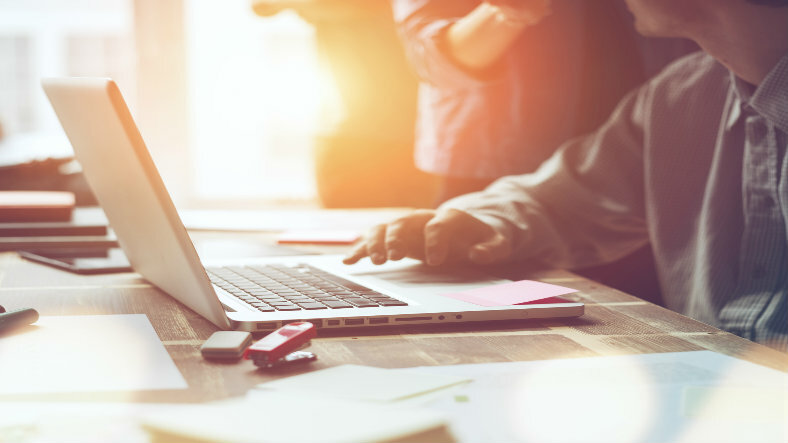 HubSpot’s Content Strategy Tool can help you refocus your SEO, improve user experience and identify gaps in your content marketing strategy. 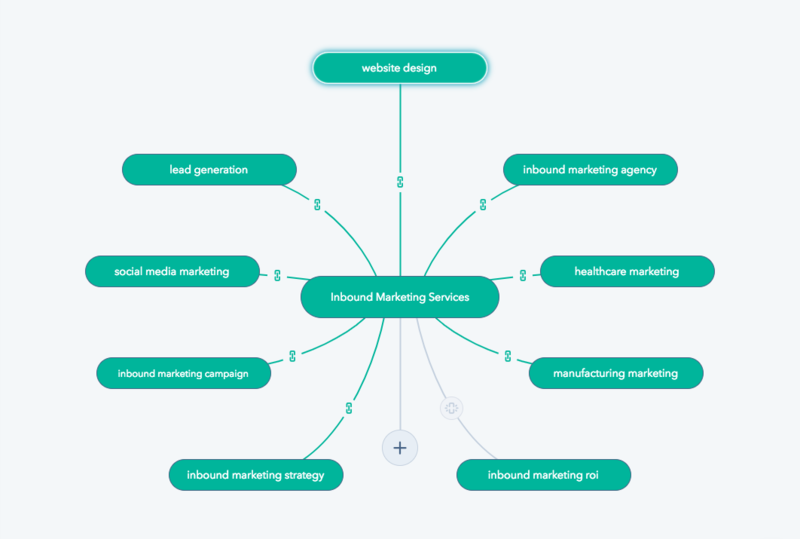 HubSpot’s new tool helps you focus on this new marketing approach by providing suggestions for topics based on your current website content and domain. After all, no one wants to start from scratch at this point. Now here’s where the Content Strategy tool really comes in handy. Core topics and subtopics suggested in HubSpot will be “validated” to determine whether they are worth writing about. This can be helpful when testing out new topics to see how they measure up with your current content. 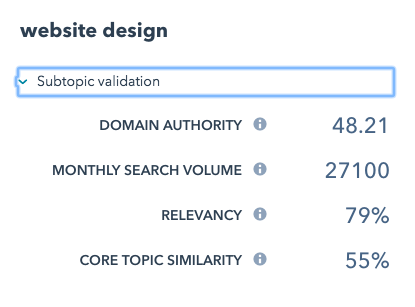 Validated topics can be expanded to view metrics such as domain authority, relevancy, monthly search volume and similarity to the core topic. These metrics are used to show how likely it is that someone searching for a topic will find what they need from your current content. Once you’ve set up your topic cluster, you will be able to review performance in a simple, easy-to-understand dashboard. View the sessions, contacts and customers influenced by your content, and update your content strategy accordingly. 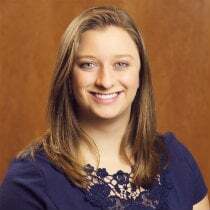 The goal here is to get into the habit of understanding a visitor’s goals or intentions and driving them to the desired information, even if it doesn’t use the specific keyword. By using topic clusters, you can keep your content focused on information that potential customers may search for. This tool can be great for researching and testing new topics, but be sure to track progress using the campaign tool for actual ROI. With HubSpot’s campaign tool, you can track which campaigns (or core topics) drive traffic to your site. 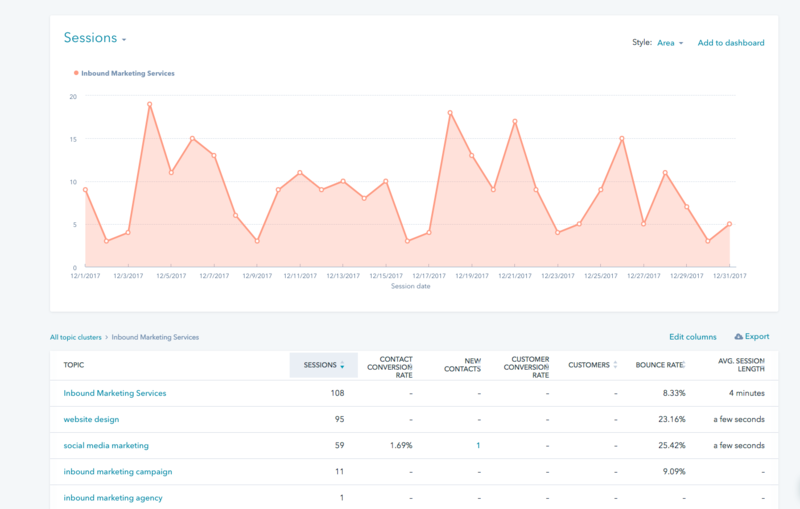 And with the new capabilities launched in Beta in September, you’ll soon also be able to compare campaigns, see which ones influenced contacts throughout their journey and those that are bringing in the most revenue. As we move into the New Year, keep in mind that your content strategy may not solely be creating new content, but revising older content, or updating the organization of your site to better cater to your audience’s needs. Consider how you can make yourself more easily found online while creating the best experience for your user. Further improve your HubSpot ROI by downloading our helpful guide and asking yourself these important questions.